I’m not even here to talk about viruses. That’s what antivirus is there to stop, and it’s more than likely that, as a business owner, you’ve got that covered. 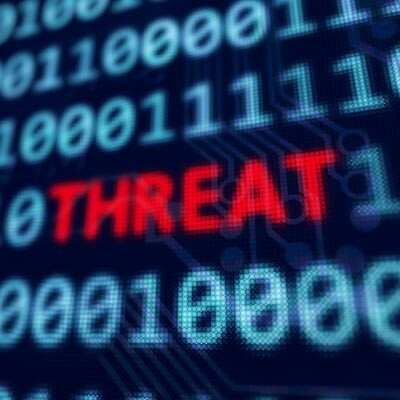 The point is that threats are growing rapidly, and the classic computer virus doesn’t even scratch the surface. The problem is that many business owners and office managers are running their organizations without realizing what they are up against. They don’t realize how valuable the data they have could be. They forget how much they will be willing to give up to bring their business back from the brink of disaster. Those who distribute, deploy, and develop these threats understand all of this. They know if they infiltrate a small business they can likely pull personal data, contact information, credit cards, social security numbers, and more. They know they can get passwords to accounts and devices to spread out further. Worst of all, they know that a small business doesn’t usually have the same security measures in place. Let me ask you, if you were a bank robber, and you were looking at two banks in town to rob, would you go for the big, high-security, armed-guards-at-the-door, big-steel-vault bank? Or would you rather hit the smaller, quieter, less guarded bank just outside of town? I’m no bank robber (and I hope you aren’t either) but my guess is that the smaller payoff is worth the lesser risk. Hackers think the same way. Sure, you hear about big corporations getting hacked and exploited over stupid mistakes they make in their IT, but you hear about them because they are the big companies in the spotlight. Small companies can make the same mistakes with their IT, but they aren’t going to be in the news. IT security isn’t personal. A cyberthreat isn’t targeting you because they don’t like your face or your product or what you stand for. It’s targeting you because you were one of a million email recipients in a big email blast of phishing attempts and you were unlucky enough to have an employee fall for it. It’s targeting you because it noticed you were one of a hundred thousand users who had a network printer that didn’t have the proper patch that fixes an exploit and the password was the same one that was set up at the factory. It’s targeting you because it detected that there are Windows XP PCs on your network and it is targeting an unsupported exploit in the operating system. We hope that cyberthreats don’t find any reason to target you or your business. The problem is that there are so many growing threats, exploits, and scams out there that businesses need to actively take control of their IT to keep their data safe. I want to help your California business. I don’t care if you have an IT provider already, if you have internal IT staff, or if you are just going it alone. I want to help you determine how safe your data actually is. We’re happy to do it discreetly too. Just give us a call at (415) 246-0101 and ask for Daniel Shea. I have the tools and the knowledgeable team who can help make the adjustments to your IT to keep it secure and to keep your business running.